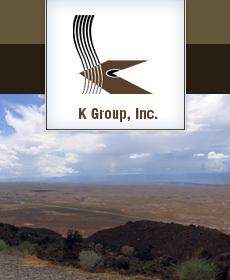 K Group has developed advertising pricing strategies in 20 major markets across the county. We conducted extensive interviews with over 6,000 advertisers to uncover the basic sources of value from different advertising pricing strategies. This primary research provided the foundation for conducting individual market analysis. Our proprietary pricing methodology utilizes transaction data from our clients billing system in concert with our basic value research. We encourage our clients to adopt strategies that ensure volume building. Our research demonstrates that pure rate increases are terribly inefficient tools to increase revenue. Yield from traditional rate increases is less than 40%. In fact approximately one-third of all advertisers respond to traditional rate increases by reducing their volume by an amount equal to the rate increase. This creates a no-win situation for newspapers and advertisers. Most advertising rate cards make it almost impossible for small to medium advertisers to avoid rate increases. The typical advertiser rate card demands a large increase in volume to avoid annual rate increases. This provides little incentive for an advertiser to grow. By contrast we make it “very possible” for larger advertisers to avoid rate increases in exchange for modest volume increases. K Group recommends a customized Structural AD-Rate Program to each client. This program is tailored to optimize ad frequency, the number of weeks advertised, ad size, day of week mix, address sections premiums or discounts and include appropriate volume incentives. K Group’s customized program maximizes the advertiser’s results and achieves revenue and volume growth for the newspaper. Have a question? Making changes of this magnitude to a rate card demands a full understanding of advertiser behavior and how trade-offs are made in light of a new rate card. K Group’s analytical approach to pricing makes this possible with high levels of predictive accuracy. Recently K Group responded to Advertising Department requests to “figure out an economical way to reward advertiser loyalty”. The K Group Advertiser Loyalty Program was designed as incentive for advertisers to grow and move their ad dollars to the newspaper (in paper, online, direct mail, TMC). The program is similar in structure to the Marriott Reward program (structured by K Group in the 1980s). Have a question? Advertisers respond very positively to rate structure changes that “make sense to them’ and tend to reward our clients with increased volume. In most cases the advertisers “figure out” the new rate card faster than the ad sales force. This makes the importance of sales force training investments hard to over-estimate. This is why our advertising support (after the new pricing strategy is completed) includes Sales Force Training and the implementation of new Sales Activity/Reporting Systems (a.k.a. Sales Dashboard Reports).